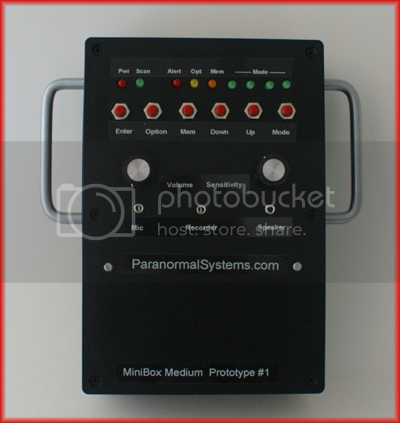 Ron Ricketts of ParanormalSystems.com has recently provided The Paranormal Source, Inc. team with a Prototype of one his new devices, the MiniBox Medium. As our research of the ‘ghost box’ tech devices is ongoing, we would like to express our gratitude to Ron for the donation. We look forward to working with the Medium and sharing our results with the public. For more information on this or any other of Ron’s inventions, please visit his official website. 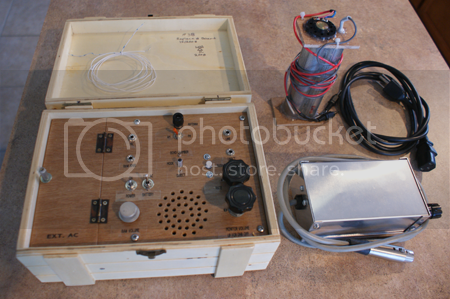 Frank Sumption, inventor of the ‘Frank’s Box’ sent us a document containing a large amount of information on the functionality and use of his highly controversial devices (also referred to as ‘the telephone to the dead.’) The Paranormal Source, Inc. has obtained his permission to share this document with you. As Frank has given us two of his boxes for experimentation, we feel it is only right to provide the public with the information so many are seeking. *Please keep in mind that this document has been in no way altered by any member of The Paranormal Source, and it does not necessarily reflect our opinions or experiences with the devices. FUNimation Entertainment is not only now an official Paranormal Source, Inc. sponsor, they have honored our Exec. Director April Slaughter by cross-promoting her book GHOSTHUNTING TEXAS with their hit Anime show GHOST HUNT! Visit their site, check out the show, and read their interview with April! You are currently browsing the Paranormal Source - Paranormal Research & Development Team blog archives for September, 2009.